In a Dutch oven, cook the sausage, beef and onion over medium heat until meat is no longer pink; drain. Add the soup, beans, corn, 1 cup cheese, milk, garlic powder, seasoned salt and cayenne. Transfer to two greased 11x7-in. baking dishes. 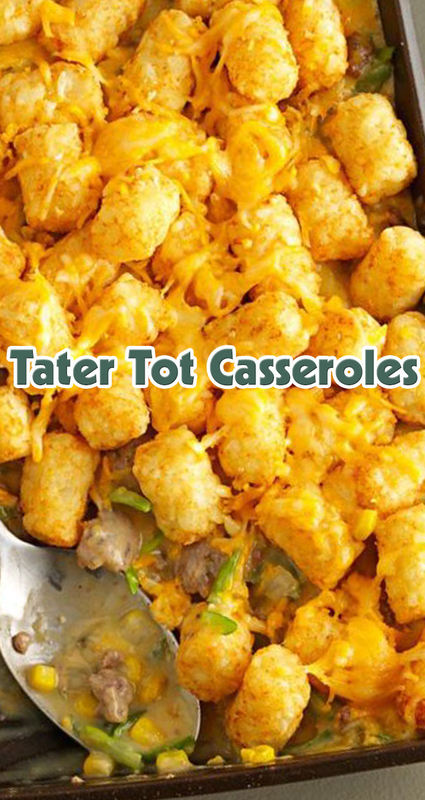 Top with Tater Tots; sprinkle with remaining cheese. Cover and freeze one casserole for up to 3 months. Cover and bake the remaining casserole at 350° for 40 minutes. Uncover and bake 5-10 minutes longer or until bubbly. To use frozen casserole: Thaw in the refrigerator overnight. Remove from the refrigerator 30 minutes before baking. Cover and bake at 350° for 50 minutes. Uncover and bake 5-10 minutes longer or until bubbly.